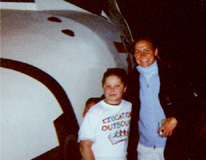 I had the great privilege of starting Education Outbound (EO) in September of 2000. What first started out as a dream and a hope for children has turned into a great reality. Since EO's founding, we have conducted numerous field trips with schools and homes in Massachusetts and New Hampshire. I have always loved being around children, and experiencing their wonder and amusement. This was evident in me as I was growing up. As I moved through my development and education, I continued to have a deep passion for children. I surrounded myself with them through babysitting, coaching and other activities. I saw their joy and wonder as a hope for our world’s future. I realized that I wanted my future to be centered on children. I began by entering into the undergraduate program for Early Childhood Development at the University at Buffalo, New York. 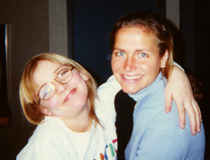 During my years in college, I learned about child development and began working with children in educational settings. These experiences reaffirmed my ability to impact their lives. Immediately after undergraduate school, I continued my child-centric career path and entered into the Graduate School of Elementary Education at the University at Buffalo, New York. After receiving my master’s degree, I pursued my goal of helping children by becoming a fourth grade teacher in a private school in Merrimack, NH. While teaching, I came to respect and understand the enormous obstacles facing teachers and schools. Although the school I worked in was well funded, I found that many schools were under funded, and struggled to supply their children with even the most basic services. Teachers were overwhelmed and had numerous demands competing for their time. Opportunities for learning outside the classroom were abundant, but many schools did not have the necessary funding, and many teachers did not have the time to take advantage of them. I learned from these experiences, and believed that I could have a greater impact on children’s lives by moving the classroom outside the school. By helping the schools and the teachers, I could help the students. As a child, I was able to experience many field trips. The field trips are extremely memorable and left huge imprints on my learning. As a teacher in Merrimack, I was fortunate to be able to bring my students on field trips. There I saw first hand the educational impact the trips were having on my students. By combining traditional classroom teaching with memorable field trips, the children were able to learn more from seeing, hearing, touching, and even smelling what was around them. I was awed by the excitement and learning that was taking place during and after the field trips. After completing my first year of teaching I decided I wanted to reach out to underprivileged children through field trips. With the support and assistance from a mentor, I founded Education Outbound. 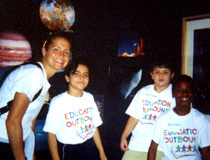 Education Outbound is a non-profit organization that sponsors field trips for children’s homes and schools in need. The goal of Education Outbound is to expose underprivileged children to special places and things they normally would never be able to see. EO is designed to remove the monetary obstacles of field trips, and to take away some of the enormous burden the teachers face when organizing and implementing field trips. Thus far, EO has been a huge success, and I couldn't be happier!